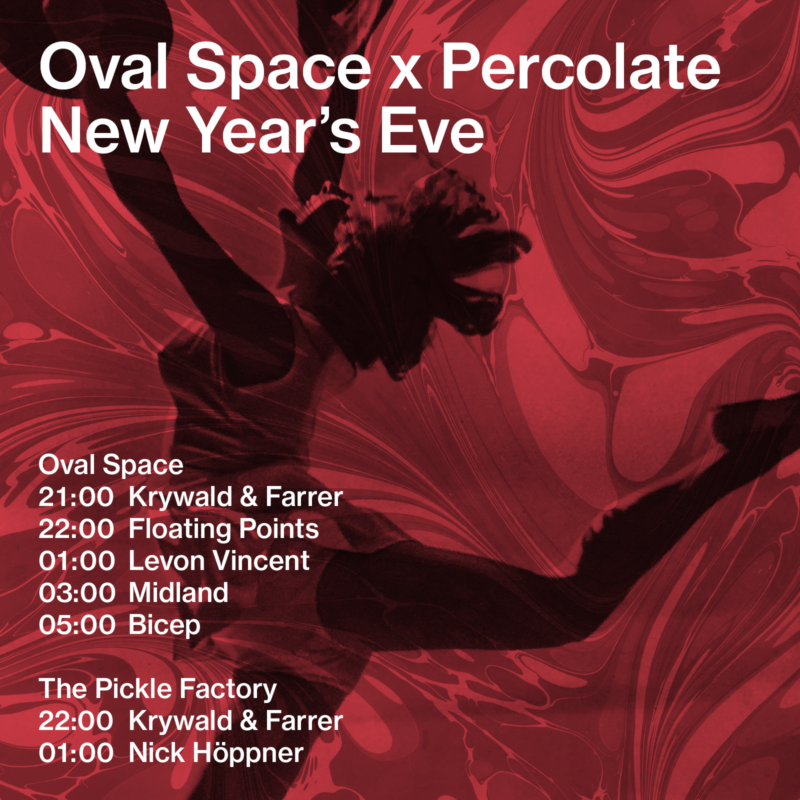 Oval Space and Percolate rein in 2017 this New Year’s Eve with a double venue party across Oval Space and The Pickle Factory, featuring a lineup of the year’s brightest DJing talents: revered electronic musician Floating Points, all-conquering Irish duo Bicep, globetrotting DJ Midland, Ostgut Ton founder Nick Hoppner, and a Very Special Guest soon to be announced. Not much more can be said about Sam Shepherd, the classically trained musician and neuroscientist who produces, collects and mixes sublime electronic music under the moniker Floating Points. Perhaps the most respected British electronic artist of our time, Sam’s list of accolades runs as deep as his music’s trademark woozy synth lines. The co-founder of Eglo Music, Flo Po took the step to underground stardom with his Shadows EP in 2011, a record whose modern classic status was assured with a rare five star review from Philip Sherburne, writing for RA. Nowadays, Shepherd is a truly multifaceted artist: a stadium-filling live act, special producer, and quite astonishing digger and DJ (whose parties at Plastic People are sorely missed). 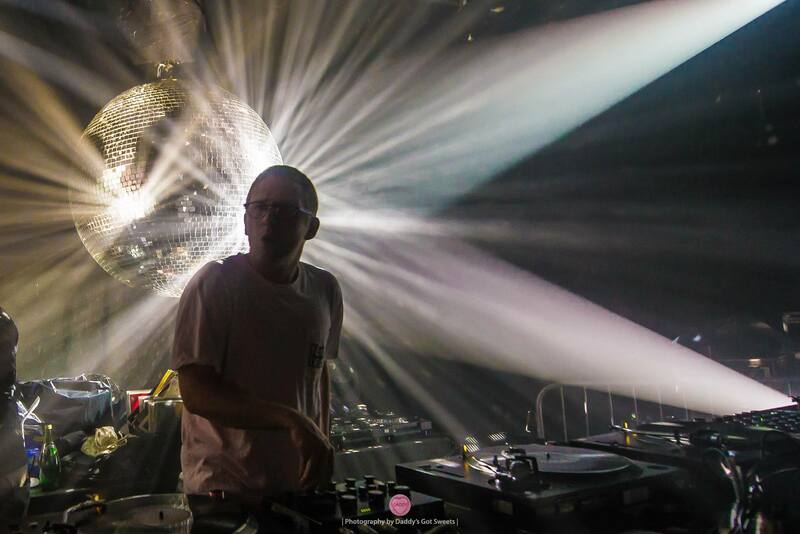 On New Year’s Eve, Floating Points plays our coveted midnight set. He’s joined by Belfast duo Bicep, who from humble blogger beginnings, have quickly ascended to the very summit of the dance music world. 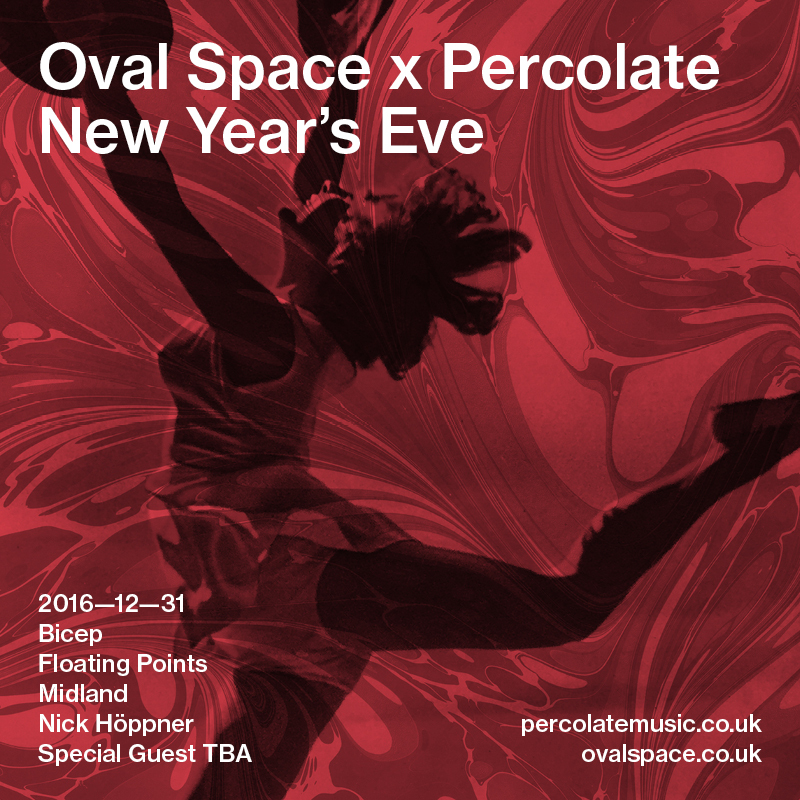 Following a series of underground smash-hits – $tripper, Vision Of Love, Satisfy, and last year’s ubiquitous edit of Domenica’s Gotta Let You Go – Bicep are now a revered production outfit, proprietors of a renowned music label, and have recently dipped their toes into promoting parties of their own. Quite simply, Bicep are a dance music sensation, respected by grizzled old music heads and wet-behind-the-ears youngsters alike. 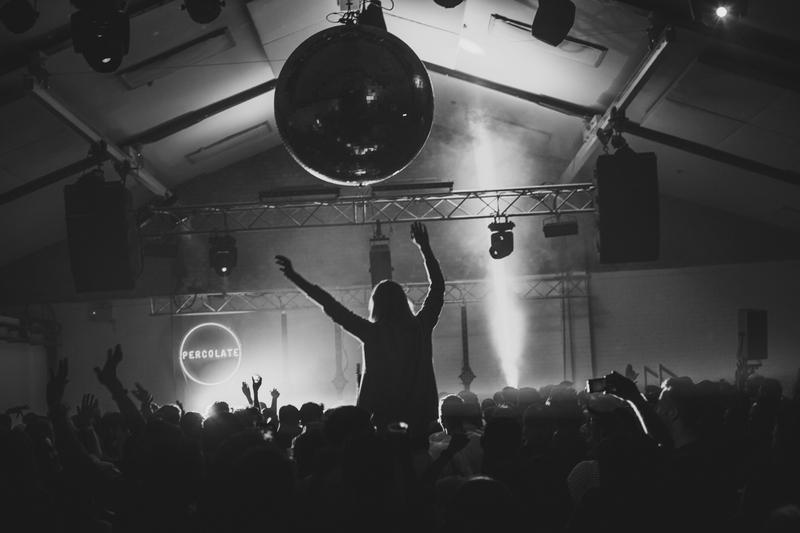 Also from modest beginnings – working on the bar at Wire Club in Leeds, no less – Midland has performed a similar meteoric rise. Something of a chameleonic producing talent, Harry Agius is comfortable producing smooth house for Aus Music, and gritty techno with the Hessle Audio crew alike. 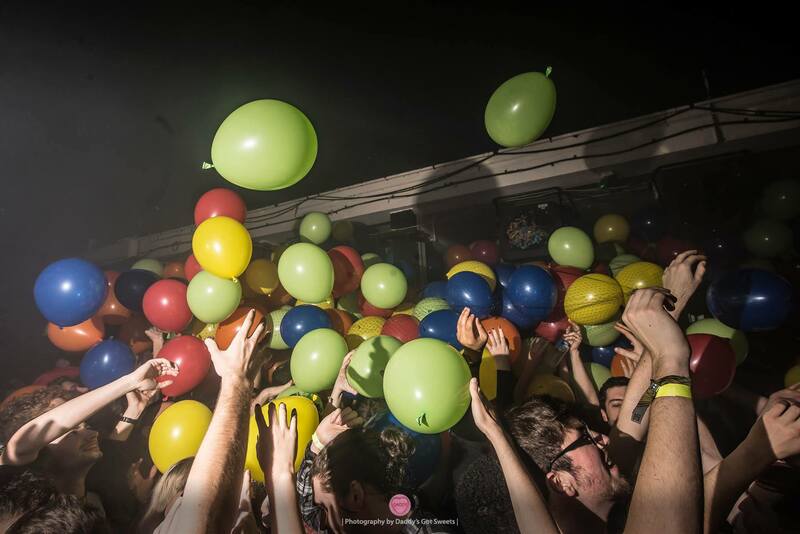 Midland is a DJ first and foremost, however: an eclectic selector who’s the perfect candidate to the get the party started on 31st December. Rounding off the lineup in Oval Space, deeply respected New Yorker Levon Vincent returns having blown the club apart during his debut back in July. With a hotly-anticipated new EP due to drop in the coming weeks, Levon is truly at the top of his game in every dance music discipline: a legendary producer, deeply skilled DJ, and founder of Novel Sound and Deconstruct Music, two seminal labels in modern electronics. Meanwhile Nick Höppner, one of the founders of Ostgut Ton, will take The Pickle Factory reins for an extended DJ session. Nick is one of Berghain’s most respected residents, equally capable of doling out tough hypnotic techno, and rich, elegant house music. His debut LP Folk, released last year to warm critical acclaim, proved Nick’s mastery of all dance music disciplines.